We have been online since 1999 and continue to offer many fine cosmetic products including: Fresh Fabulous Flawless Foundations in airbrush and RTW formulas. Reasonably price for Salon or home use. Also airbrush Eye Shadows, Blush, Body Paints thus welcoming a new line of Wholesale Postmortem Airbrush makeup. As always meticulously made and tested. If you have never experienced our Airbrush Foundations you are in for a treat. Fresh Flawless coverage with organics. Our Salon Savvy Crossover Line for Wholesale. Go from Foundation to Airbrush in one easy step. Sizes 8oz, 16oz, 32oz and 1/2 Gallon. Great way to stock up for your home salon or business. Store bought cosmetics are ineffective, unsuitable, and practically unstable for use on post mortem tissue. 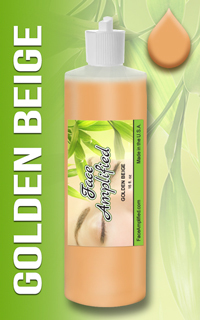 With our cosmetics and specifically engineered for use on non living tissue. These products maintain adhesive properties which remain stable to the touch, will not smear, melt, or separate thus adding in applying a makeup over filler waxes and appliances used by the funeral industry without moving the fillers. We have many wonderful colors for Airbrush Eye Shadows, blush and Body Painting. No refunds or returns are normally accepted per the FDA cosmetic industry rules for safety and to stay in compliance. Shipping determined per order for dosmetic or international shipping.